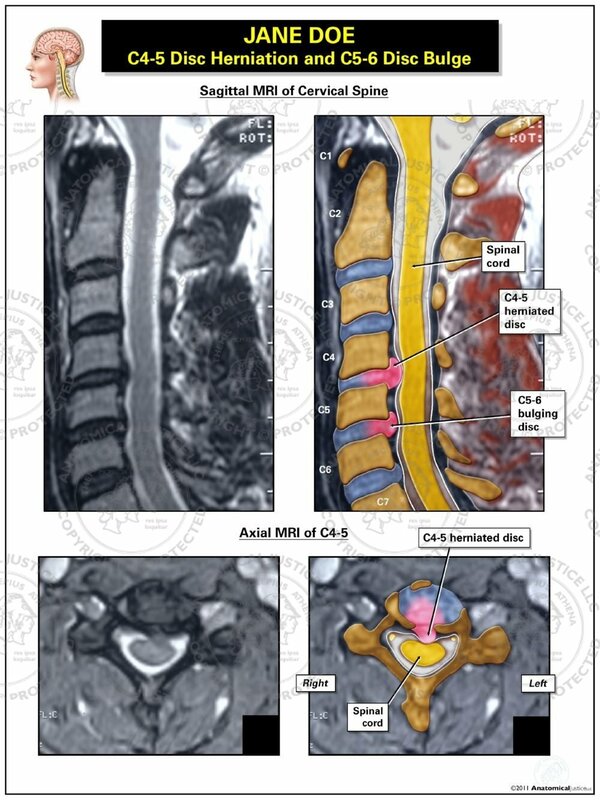 This exhibit features a sagittal MRI of the cervical spine and an axial C4-5 MRI alongside radiological colorizations highlighting intervertebral disc injuries. 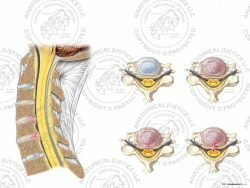 The sagittal image depicts a bulging disc at C5-6, as well as a herniated disc at C4-5 impinging the thecal sac and spinal cord. 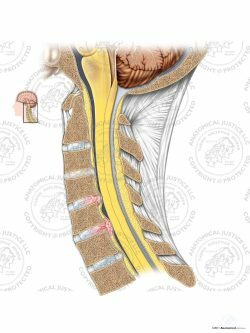 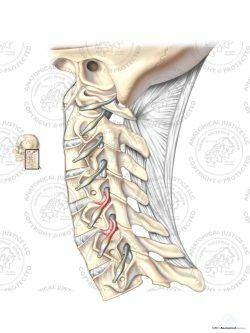 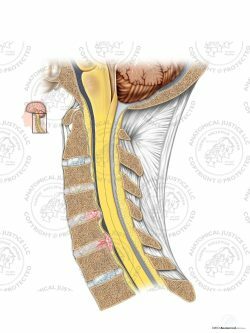 The axial image focuses on the herniation at C4-5 and its effect on the spinal canal.